Construction will shortly begin on the much anticipated Gate Avenue at DIFC, the new urban premium lifestyle, cultural and entertainment development at the heart of Dubai International Financial Centre that promises to change the face of urban space and living in Dubai. Habtoor Leighton Group (HLG); a leading specialist contractor in the region was awarded the Dh500 million contract, meaning construction and land preparation can get underway for one of the biggest property projects in Dubai. Gate Avenue at DIFC also represents DIFC’s largest current project, which is already attracting wide interest from the business and retail communities. Gate Avenue at DIFC is already worth Dh450 million approximately with the existing truck tunnel and master plan infrastructure in place. Combined with the new contract, this will elevate the full development cost to an estimated Dh1 billion, reflecting the size, scope and ambition of this major project. Set for the first phase of completion by the end of 2017, Gate Avenue at DIFC will heighten connectivity of the entire district. 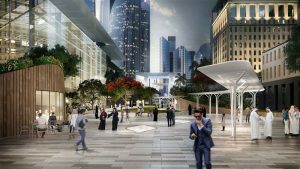 A series of spacious, aesthetically appealing, indoor and outdoor themed areas and walkways will link the podium levels of all buildings located in the DIFC. 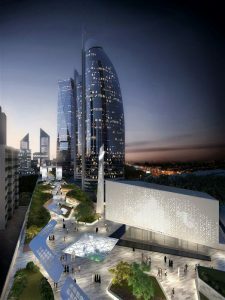 This will create both a new urban living concept for the region built around having a unique experience when visiting DIFC, as well as delivering a more integrated professional, connected and accessible environment. 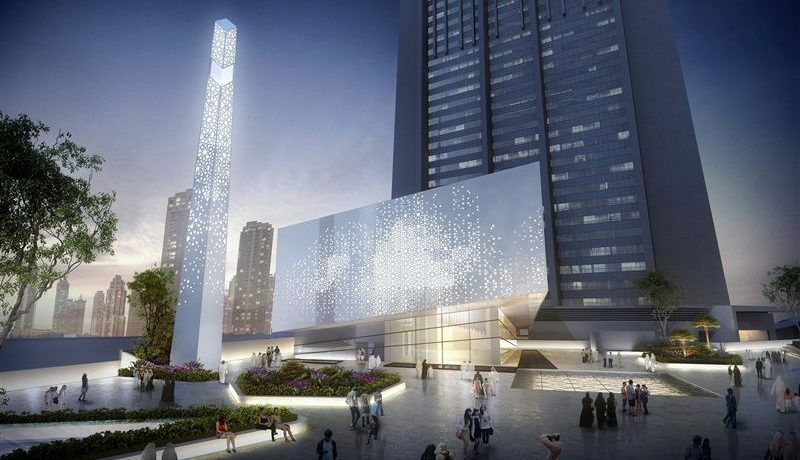 With over 200 dining, boutique, retail and entertainment options, as well as an iconic new mosque, Gate Avenue at DIFC will span across 660,000 square feet and 880m in total length. 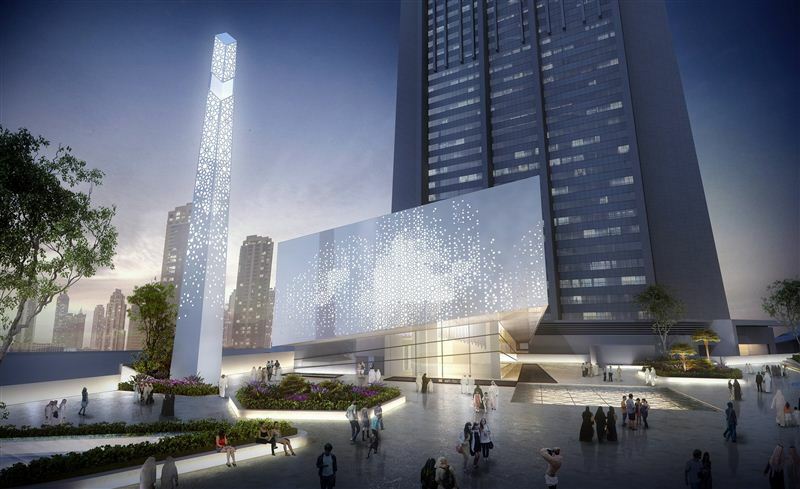 Building on the already world class business infrastructure and offerings available in DIFC, it takes the Centre’s offerings to the next level as a mixed-use development. Gate Avenue at DIFC is set to become a leading dining and retail destination as well as acting as a the beating heart for the DIFC community of professionals, residents and visitors, increasing the attractiveness of the Centre in a highly competitive global market. Bringing Habtoor Leighton Group on board as our primary construction partner, moves the project into its active development phase and we are excited to see the project physically take shape in the coming months. Gate Avenue at DIFC will connect our vibrant and dynamic community of over 21,000 professionals, as well as residents and visitors, in one central location, he added.